TOPIC: What are your problem areas? Why is your IT band weak, why does your knee hurt, are weak glutes the reason you have pain or can't run as fast as you'd like? 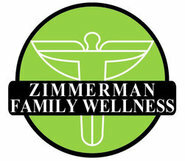 Erin from Zimmerman Family Wellness will help you figure out what your weaknesses and imbalances are and give you strengthening tips and exercises to get you back to your STRONG!